This past weekend’s Sacramento Antiquarian Book Fair marks Samm Fricke’s one year anniversary with Tavistock Books. Some of you loyal blog followers might remember that Samm joined us in panic mode just two days before the fair last March, and we were just as lucky to have her then as we were to have her at this – her third Sacramento Book Fair! We sat down with her to pick her brain on her feelings now versus one year ago, so enjoy this little Q&A on Samm’s experiences at this fair! Q: So Samm! This Sacramento Book Fair this past weekend marks your one year anniversary with Tavistock Books. How does it feel? SF: I must say it feels pretty good! All in all I think I am getting a handle on things. I am feeling more and more comfortable in my book skin each day, and also learning something new each day! Q: What was your favorite thing about this Sacramento Book Fair, and how is it different from your favorite aspects one year ago? SF: Hmm, my favorite thing? Haha! Probably the simple fact that is was the Sacramento Book Fair! The last two fairs we exhibited at (Pasadena and the Oakland ABAA fair) were huge and stressful, so it was quite nice to come back to a less chaotic fair and see some familiar faces. Some of those faces I of course saw in Oakland and Pasadena, but without us all being so hyped up it was nice being able to relax with my colleagues and fellow bibliophiles! That being said, I also loved that I could actually say I had two Sac fairs under my belt! SF: (First of all, haha Margueritte! That is my worst fear!) There have been so many lessons, and still so many lessons I have to learn! Vic teaches me everyday – “let me show you” and “have I mentioned this bibliography?” – are some of most common phrases I hear each day! I have, of course, made mistakes here and there, its a learning curve! Thankfully none of my mistakes have lead to him going bankrupt or losing items in his collection… yet! Kidding! Within my first week, I was taking photos and bumped the books behind me. One fell. My heart skipped about 3 beats while I saw Vic look over. Thankfully, however, it was an inexpensive book and nothing was damaged (unlike you, Margueritte!). But I won’t lie – I thought I was going to die. Q: What are you most excited about moving forward in the book trade? SF: Like I mentioned a year ago, I just want to continue learning new aspects of the book trade. There is always something new, even with the old! And yes, you can quote me on that one. We are so happy to have you on board, Samm! 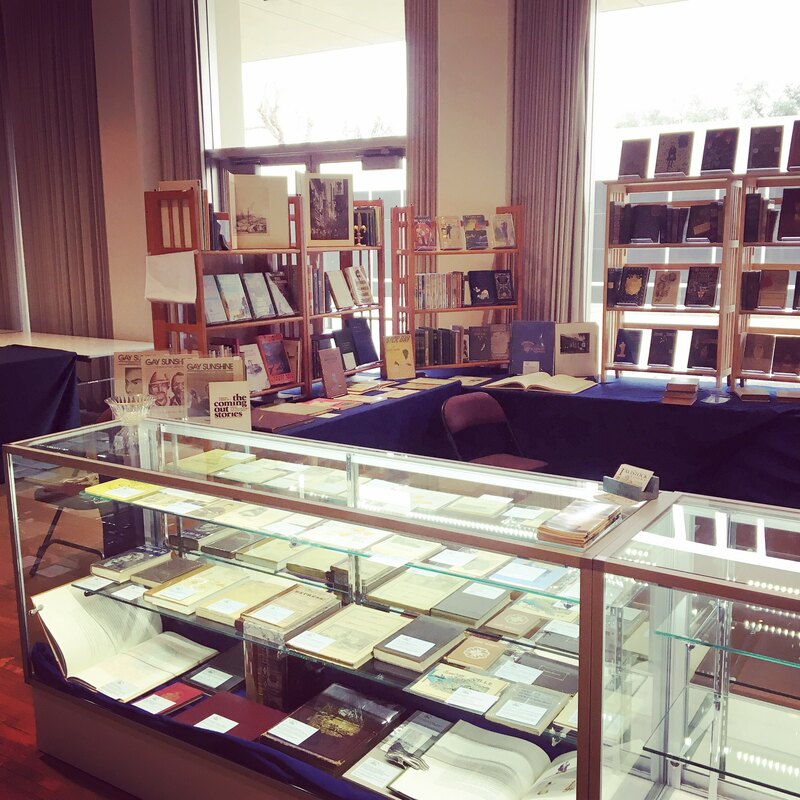 Here’s to the next Sacramento Antiquarian Book Fair! 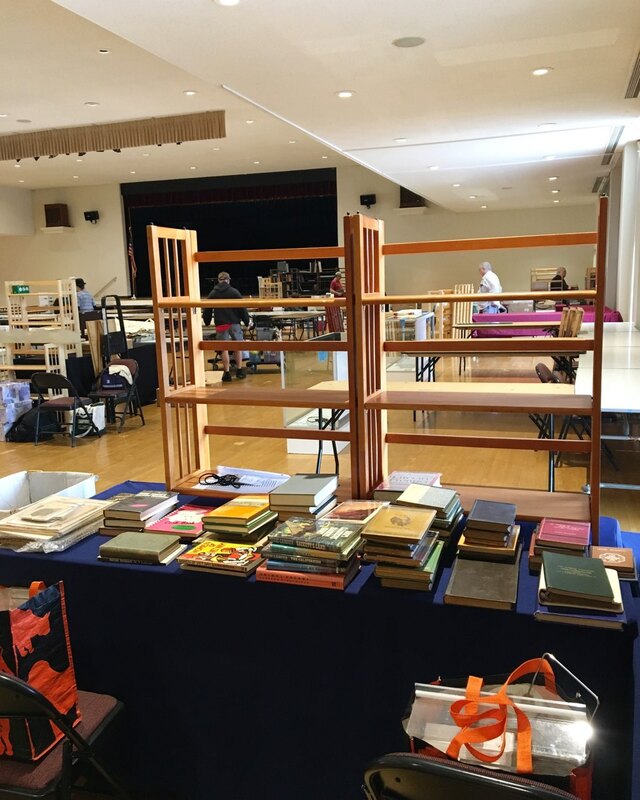 This entry was posted in Antiquarian Books, Book Fairs, Collecting, Events, Uncategorized on March 27, 2019 by tavistock_books.